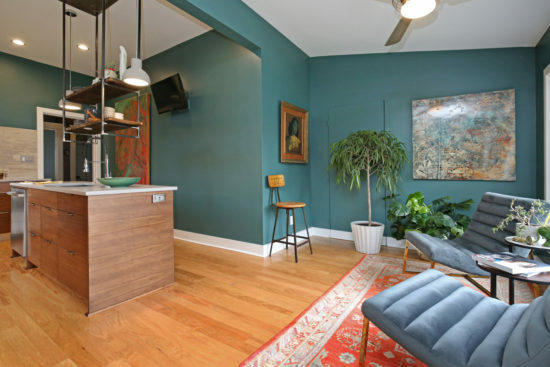 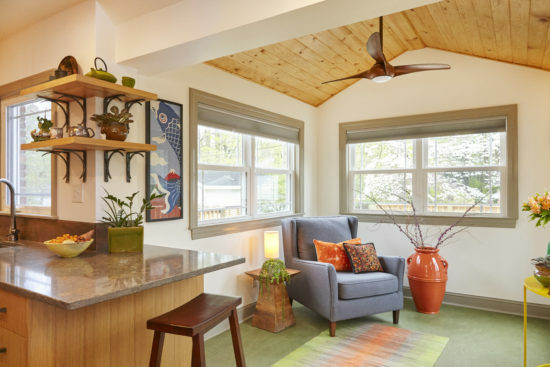 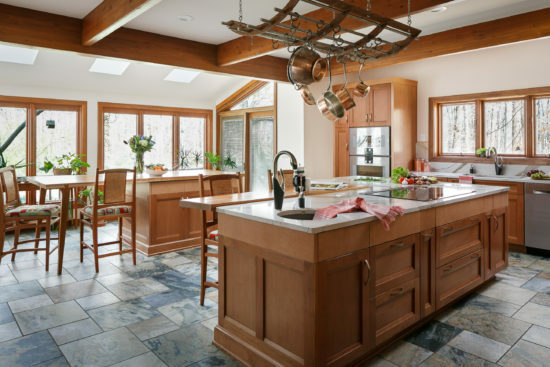 This contemporary kitchen was designed for a couple who wanted to really open up their existing space and make it into an inviting and comfortable one wherein they can entertain and cook without stepping on each other. 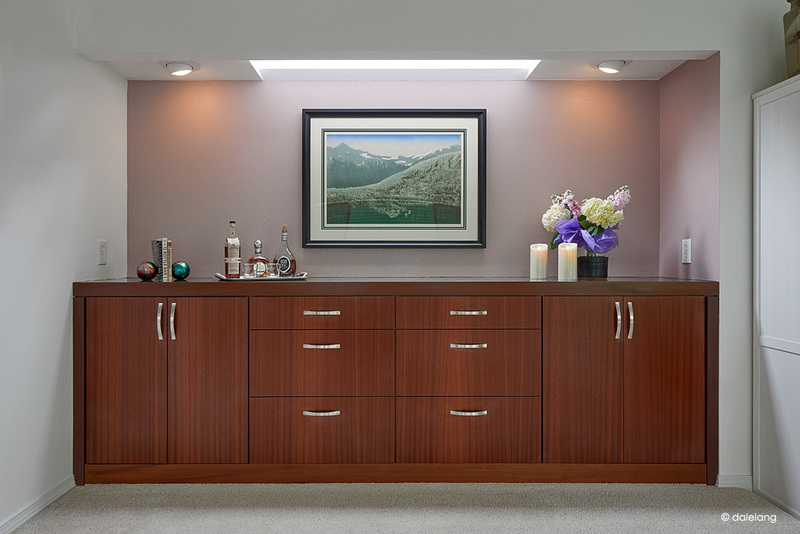 Our clients wanted a clean look along with easy to maintain materials. 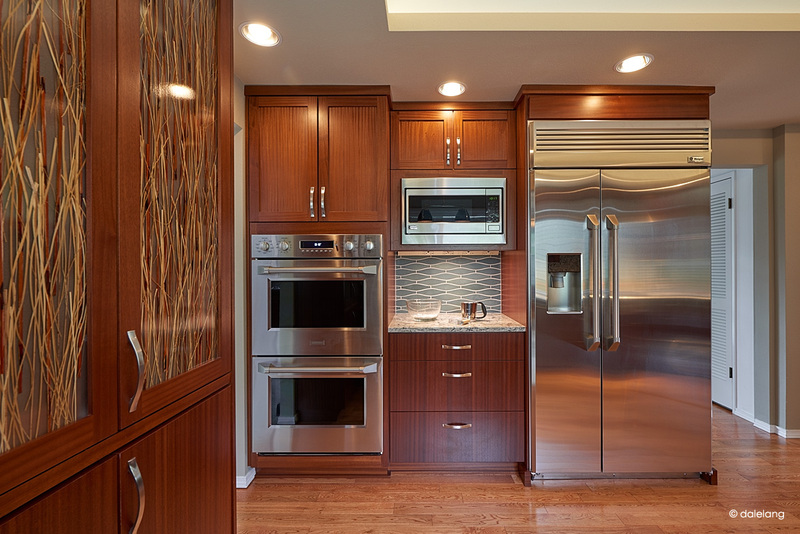 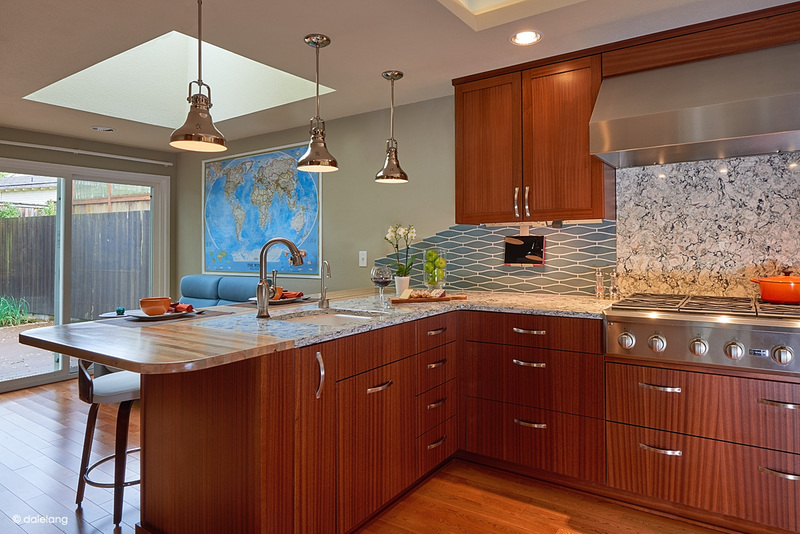 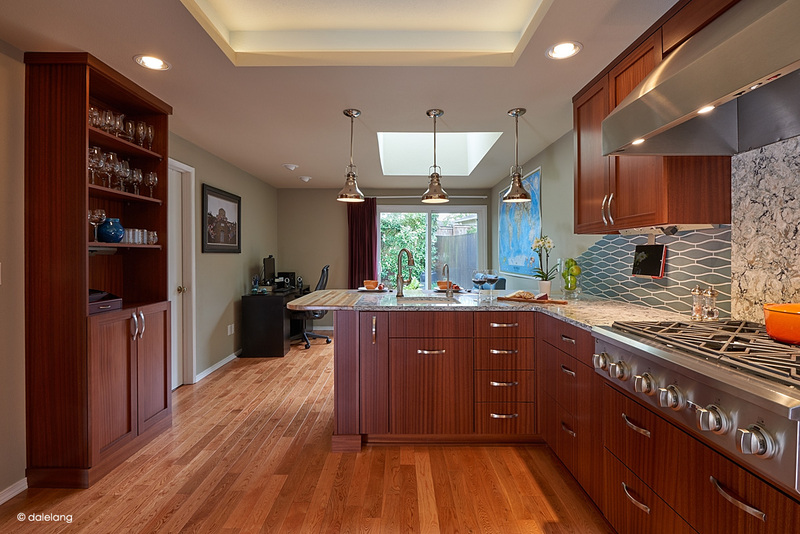 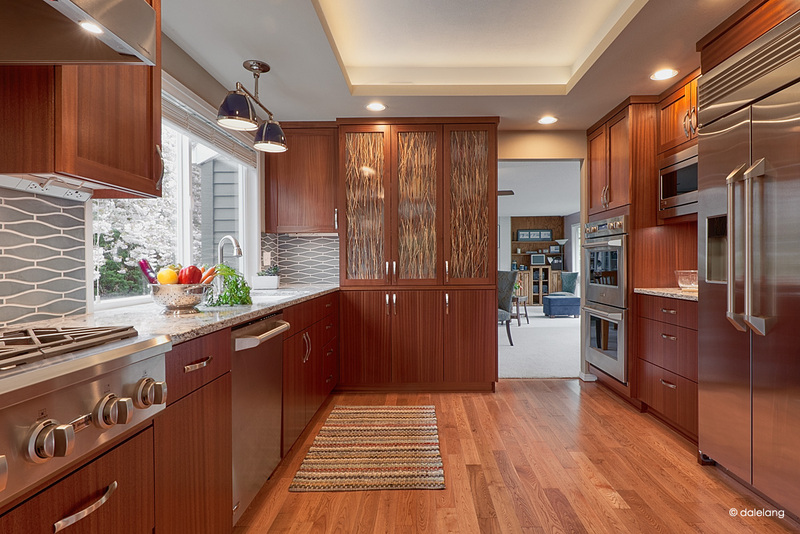 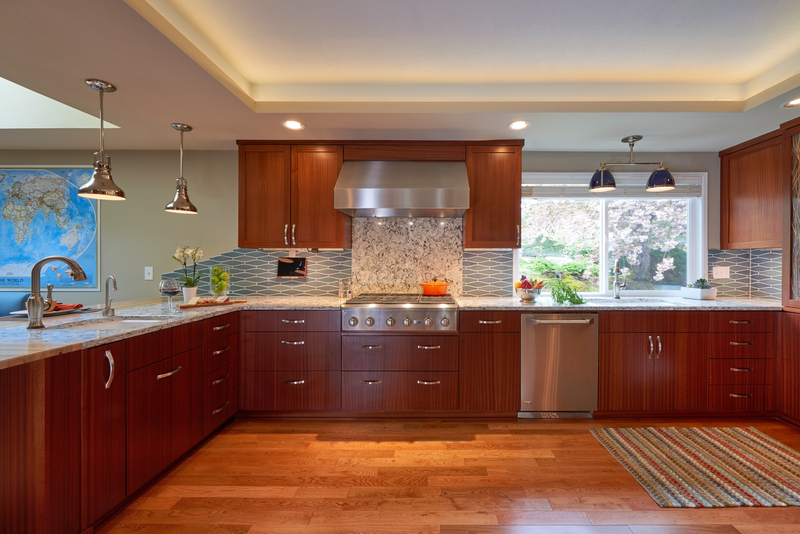 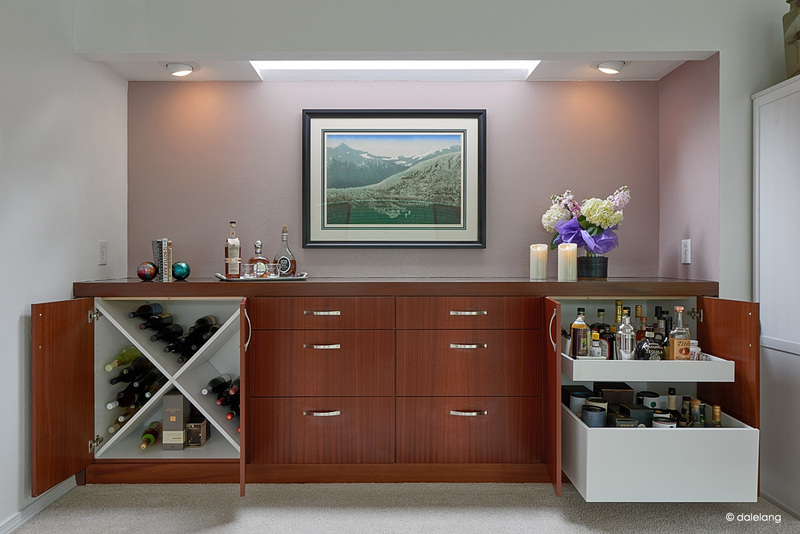 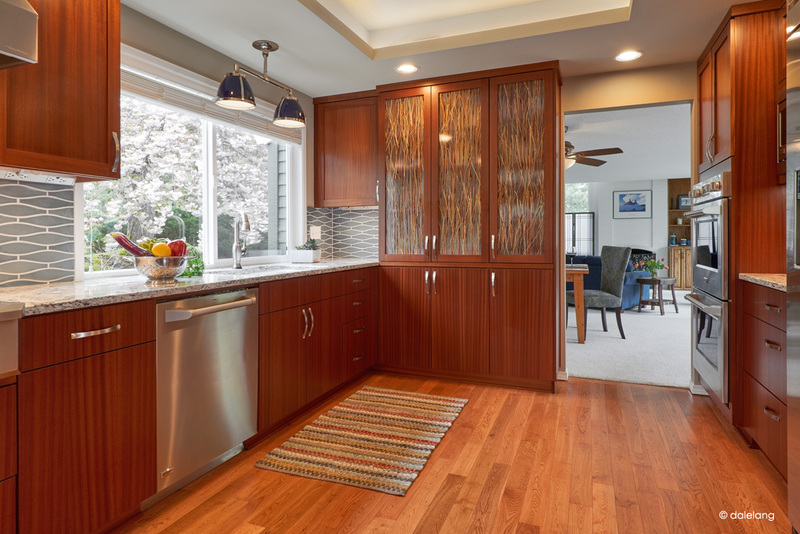 We selected Sapele (African ribbon mahogany) for the cabinets from Hayes Cabinetry in Woodland, WA. 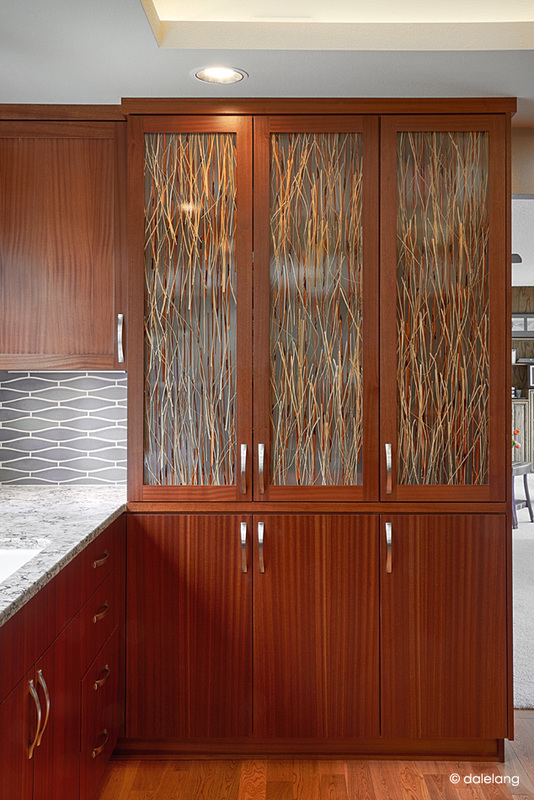 The simple slab doors on the base cabinets are easy to wipe clean and don’t have that pesky “dust shelf” (as our client liked to call it). 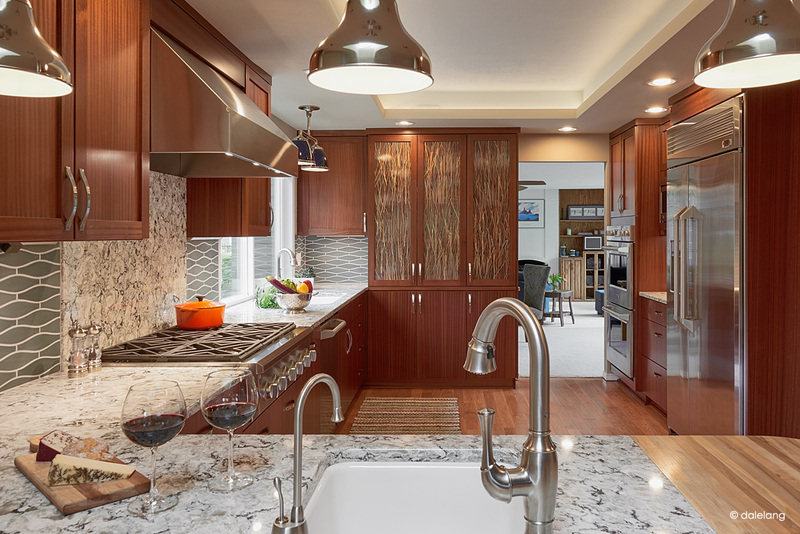 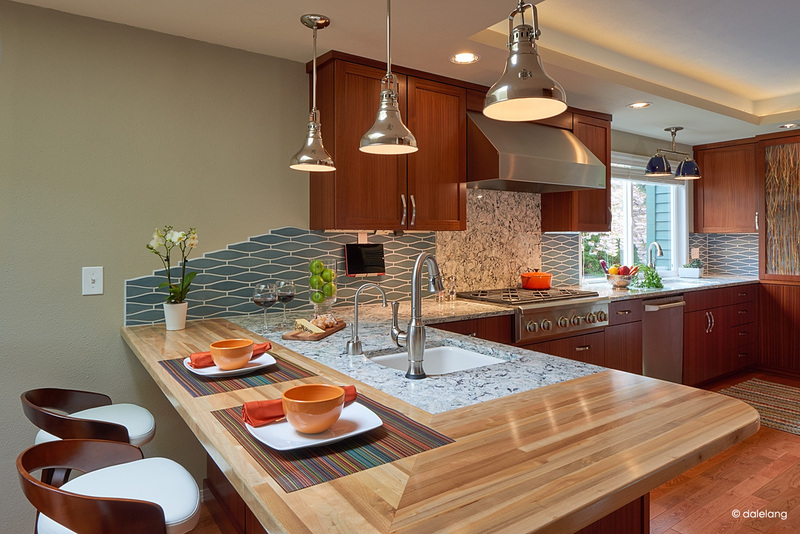 The countertops are Cambria quartz which require no maintenance and will look stunning for years to come. 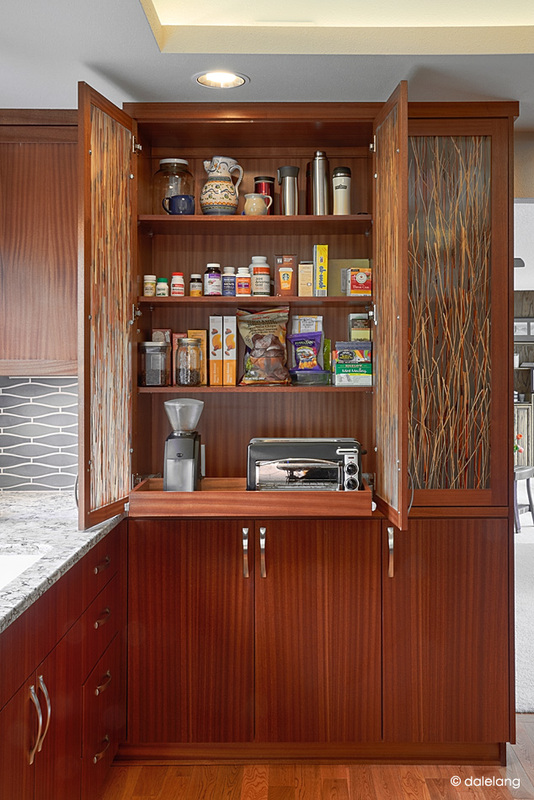 The breakfast bar top is Myrtle wood butcher block from Sustainable Northwest Woods and installed flush with the quartz by a wonderfully meticulous artisan whom we love with all our heart. 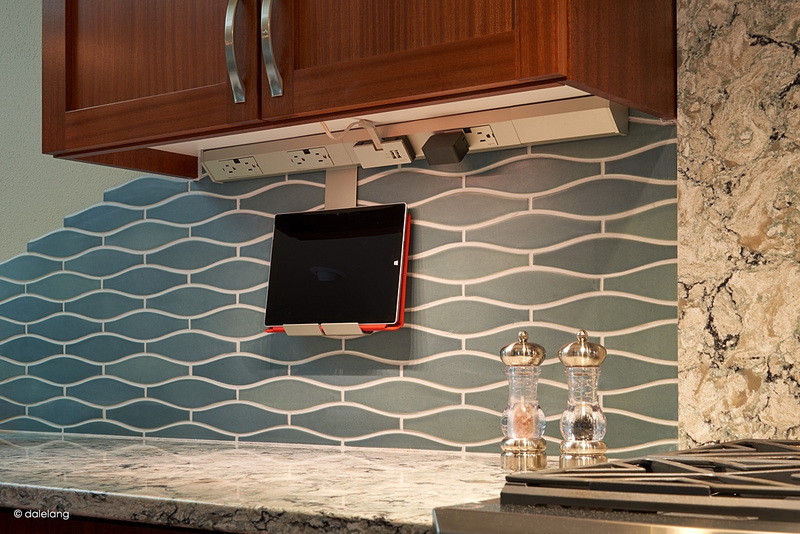 All of the appliances are from Monogram and the backsplash tile is from Pratt and Larson in a pattern that reminded the client of her favorite place, the beach.